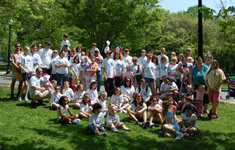 The Children’s Hemiplegia and Stroke Association, CHASA, is the oldest organization in the United States dedicated to improving the lives of children and families affected by hemiplegia, hemiparesis, or hemiplegic cerebral palsy, often resulting from a perinatal or childhood stroke, traumatic brain injury, hemispherectomy, cancer surgery and a host of other causes. CHASA is a 501(c)(3) organization and serves families around the world with information, support, and advocacy. Read more about the history of CHASA below. January 2016 – We continue to provide orthotic and hand brace grants to families in need. October 2015 – Making plans for 2016 CHASA National Retreat. Kids meet others who understand what it’s like to wear a brace or take seizure medication. Parents and siblings find support. It’s a great event for the entire family! October 2015 – Wrote another letter of support for an National Institute of Health pediatric stroke research grant proposal went out to researchers today. So happy to support the good work these dedicated professionals are doing to make life better for our children, teens and young adults. September 2015 – Purchased an orthotic for a little stroke survivor whose family that cannot afford insurance. We catch those families who fall between the cracks. August 2015 – Helped a family purchase an orthotic for their 3 year old daughter. Negotiated a lower price for the orthotic with the clinic. July 2015 – Awarded two scholarships to families for a CHASA Reunion. They were very excited to meet other families for support. April 2015 – Promoted Pediatric Stroke Awareness by sponsoring a pediatric stroke survivor in the Kid’s Center for Pediatric Therapy’s Walk & Roll in Louisville, KY. Thousands will read our Kids Have Strokes, Too Banner in the parade. March 2015 – Made 250 kids who have hemiplegia or stroke feel pretty great when they received a free stuffed penguin, our CHASA Mascot, Kandu in the mail. Love those kids! 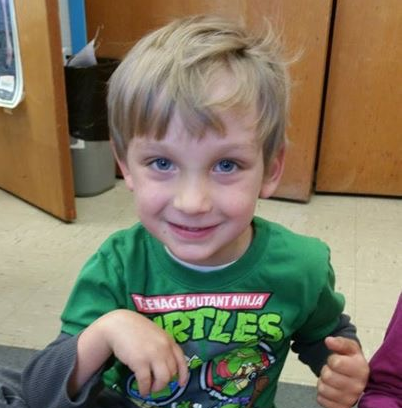 March 2015 – Crazy numbers of Pediatric Stroke and Hemiplegia Awareness shirts are shipping in April. How many people will see those 1300+ shirts and learn more about pediatric stroke and hemiplegic cerebral palsy? Go team! March 2015 – Teamed with researchers at the Center for Brain Plasticity and Recovery at Georgetown University Medical Center to recruit little stroke survivors for a research study. Researchers are studying the effects of childhood stroke on cognitive and language abilities. We definitely got the word out and heard the researchers were overwhelmed by the number of families offering to participate! 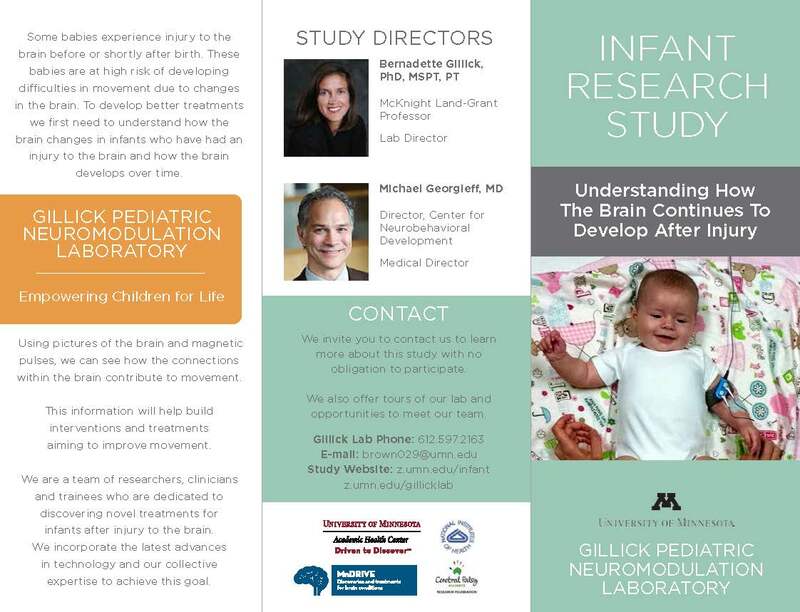 March 2015 – Teamed with researchers at the University of Minnesota to recruit participants for a study of function of the child’s weaker hand. 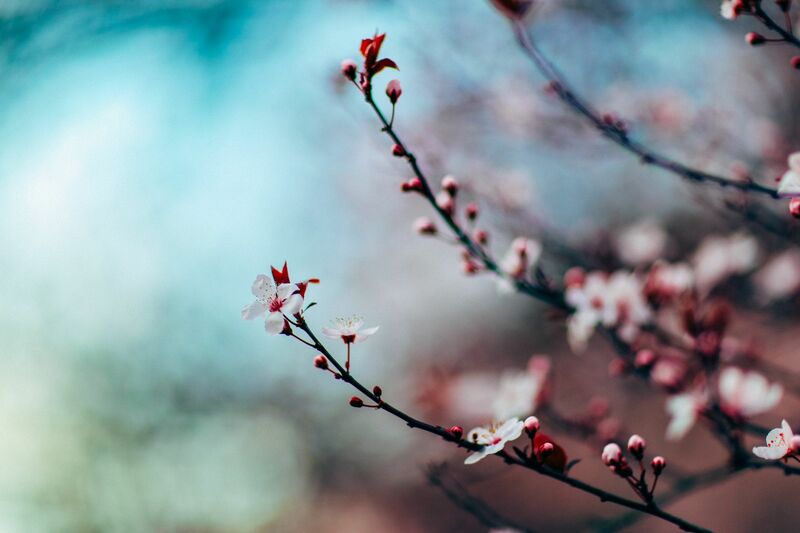 March 2015 – Great Neuropsych Experience shared by a CHASA mom. February 2015 – Teamed with researchers at the University of Minnesota to recruit participants for the Synergistic Effect of Combined tDCS/CIMT in Children with Heimparesis study. February 2015 – We continue to build our Individualized Education Program (IEP) bank to help families and educators discover new ways to help our kids in school. February 2015 – Announced our FIVE CHASA Family Reunion locations. CHASA has hosted 13 national family retreats and we noticed that’s it’s really expensive for families to travel to one central location, so this year, we’re spreading out the fun! Families will meet in Arizona, Idaho, Chicago, Nashville and Pennsylvania to share support and fun with others who “get it.” There is no registration fee and CHASA has secured group rates at many of the hotels. January 2015 – Our CHASA Shoe Exchange has reached over 400 members. 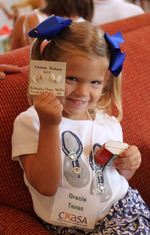 Exchange shoes with another child or adult who wears different two different sizes of shoes. January 2015 – We continue to provide orthotic and hand brace grants to families in need. January 2015 – CHASA Florida Group outing to a basketball game. Fun, fun, fun! CHASA kids play basketball, too. November 2014 – Awarded $14,000 in college and vocational school scholarships to 14 young adults with a diagnosis of hemiplegia. November 2014 – Funded Moms’ Weekend in Southeast Region. August 2014 – Awarded six orthotic grants to help kids with hemiplegia keep on walking. July 2014 – Provided shoulder massages to 21 stressed out parents at a constraint therapy camp in New Jersey. June 2014 – Largest national retreat in CHASA history with over 280 in attendance! Our local group session drew over 40 participants and we are already helping new groups form in different states. It’s very important for children and families to meet others who can share information and support. June 2014 – Awarded 22 retreat scholarships to 22 families to enable them to attend the CHASA Family Retreat. June 2014 – Funded family outing in Greensboro, North Carolina. May 2014 – Awarded 4 athletic scholarships and one coach scholarship so CHASA athletes could attend the NJDC event in Iowa. May 2014 – Funded family outing in Grapevine, Texas. May 2014 – CHASA Board voted to sponsor Paralympic hopeful Danny Scrivano and awarded an athletic scholarship to Danny. April 2014 – Teamed with Stuart Sharp, Head Coach of the U. S. Paralympic National Soccer Team, to reach out to children, teens, and adults with hemiplegic cerebral palsy and grow both the soccer player pool and the game as a whole. April 2014 – Launched three Pediatric Stroke Awareness shirt designs to help the world know that Kids Have Strokes, too! April 2014 – Funded family outing in Wisconsin. March 2014 – CHASA Family Retreat 2014 will be CHASA’s largest retreat on record. February 2014 – CHASA assisted Kenda Grover, PhD and colleagues at the University of Arkansas with recruitment for a wellness and adult learning study, targeted at learning more about the social, physical, and coping aspect of parents of pediatric stroke survivors. February 2014 – Funded art project for kids in North Carolina CHASA group. January 2014 – CHASA assisted Jeffrey Max, MD and colleagues at the University of California, San Diego and Rady Children’s Hospital with recruiting participants for the Childhood Stroke: Attention and ADHD research project designed to provide information regarding emotions, behavior and thinking in children and adolescents who have had a stroke. January 2014 – Awarded 13 college and vocational school scholarship to young adults with hemiplegia. January 2014 – Funded a CHASA Moms Weekend for Southeast CHASA group. 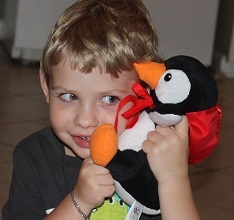 Winter 2013 – Shipped 250 plush penguins to children and teens living with a diagnosis of hemiplegia. Kids were urged to make a brace for their penguin, just like the brace they wear. This was based on the CHASA mascot, Kandu, and penguins were provided at no cost to families. Parents have reported that their kids feel much more positive about wearing a brace. Read more about Kandu and donate to our CHASA Cares program. If funding allows, we will send 250 more penguins in the Spring of 2014. November 2013 – Provided Speech Language Pathology graduate student with brochures and information for a pediatric stroke presentation. Fall 2013 CHASA Moms’ Weekends – Moms gathered in north Texas and Alabama for a relaxing weekend. July 2013 CHASA Family Retreat – Families of children and adults with hemiplegia from around the globe to gathered in Alabama for 4 days to connect, encourage, and learn from each other. CHASA offered scholarships to 23 families and 18 accepted. Seventy-five families attended and this was the first retreat for 30 of those families. A total of 220 individuals attended. May 2013 Partnered with the Center for Cerebral Palsy Research at Columbia University to recruit participants for study that examines the effects of extensive practice on affected hand/arm use and lower-limb use. Recruitment will begin at the CHASA Family Retreat in Florence, Alabama. May 2013 Provided $10,000 seed money for research that examines the effects of extensive practice on affected hand/arm use and lower-limb use. Study is being conducted by the Center for Cerebral Palsy Research at Columbia University. May 2013 Provided CHASA Think Big Grant to assist with the Strong as Steel Adaptive Sports and Allard USA Track, Field, and Fun Day in Pittsburgh. 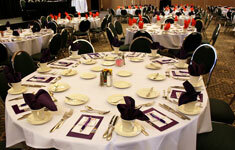 April 2013 Launched CHASA Cares! program. CHASA will send a new plush penguin, modeled after the CHASA mascot, Kandu, to children and young adults who are diagnosed with hemiplegia or pediatric stroke. Our first group of penguins will go to kids who are having a difficult time and need some cheering up. They may be in a hospital, facing surgery, feeling sad about bullies, or some other stressful or sad situation. Kids are nominated for the program. If you’d like to help fund this program, please donate. February 2013 Assisted the Teachers College at Columbia University: Center for Cerebral Palsy Research with survey to gather information about parent participation in a home-based bimanual therapy program. November 2012 Assisted 4th year product design student in Ireland. Helped student collect information to aid in design of assistive toy/aid to encourage use of foot and leg muscles. October 2012 Offered Awareness Shirts to promote Hemiplegia Awareness, Pediatric Stroke Awareness, Cerebral Palsy Awareness, and a special Kandu Shirt because our Kids Can Do. September 2012 Awarded first of many CHASA Orthotic Grants. These help families purchase an orthotic (foot brace) or hand brace or splint for their child who has hemiplegia. Many families fall through the cracks and either have a very high insurance deductible or do not qualify for government assistance, yet, do not have the funds to purchase these orthotics. The orthotics are important – they help the child with hemiplegia learn to walk and balance while they walk. August 2012 Assisted the Teachers College at Columbia University: Center for Cerebral Palsy Research with recruitment of participants for a new treatment involving bimanual therapy. July 2012 Assisted University of Minnesota Physical Therapy Department with recruitment of participants for non-invasive brain stimulation research study. July 2012 Partnered with University of Arkansas College of Education & Health Professions Assistant Professor. Examining how parents directed their own learning after the incident to make decisions about cause, treatment options, and recovery. October 2011 Assisted the Teachers College at Columbia University: Center for Cerebral Palsy Research with recruitment of participants for a new treatment involving bimanual therapy. October 2011 Assisted the University of Chicago with recruitment of participants for an fMRI study on reading and language comprehension in children with brain injury. August 2011 Helped coordinate the Western Pennsylvania Family Fun Day outing for families of children who have hemiplegia. August 2011 Assisted Northwestern University’s Department of Physical Therapy and Human Movement Sciences with recruitment of participants for a coordination study of the upper extremity of individuals with hemiplegia. August 2011 Assisted Franciscan Hospital researchers with recruitment of participants for a study that looks at the physical activity level of children, ages 8-18, who have cerebral palsy. August 2011 CHASA board votes to develop a small grant program to assist families in need with the purchase of orthotics (foot and hand braces). Children with hemiplegia frequently need these braces to help with proper positioning, balance, coordination, and movement. 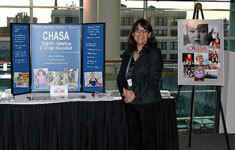 July 2011 Created the CHASA Junior Advisory Board composed of youth ages 15-25. This board will advise the CHASA board, help plan the annual family retreat, create content for the CHASA website, advise younger kids who have hemiplegia and their parents, and more! October 2010 Co-sponsored the Neurobiology of Disease in Children Symposium in Providence, Rhode Island, with the Child Neurology Society and the National Institutes of Health (NIH), including the National Institute of Neurological Disorders and Strokes (NINDS) and the Office of Rare Diseases Research. This symposium featured presentations from pediatric stroke researchers from around the world and provided information to hundreds of child neurologsts regarding the latest research on pediatric stroke. The symposium allowed pediatric stroke researchers to exchange information about the future direction of pediatric stroke research. 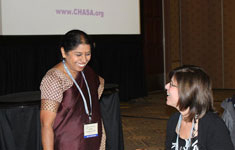 CHASA contributed $40,000, multiple years of CHASA’s research budget. October 2010 Sponsored 20 young investigators, interested in pediatric stroke research, at the NDC symposium. July 2009 Collaborate with Department of Biokinesiology and Physical Therapy at the University of Southern California to recruit participants for the “Child Habilitation and Motor Performance Skills Clinical Research Trial” for children with hemiplegic cerebral palsy. January 2009 Developed Infant and Childhood Stroke Informational Brochure directed at physicians. These feature infant and childhood stroke survivors and include information on early stroke and the need for early detection, intervention and referral, and research. January 2009 Launched new Bulletin Board Forum to facilitate development of local state and international groups, provide avenue for discussions about projects, and a place for parents to socialize outside of discussions of hemiplegia on the listserv. 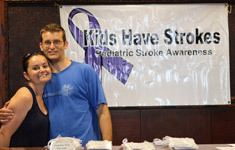 January 2009 Sent two representatives to the 1st Annual Southeast Regional Stroke Conference to network and set up a two day Exhibit to feature infant and childhood stroke survivor awareness including information on early stroke and need for early detection, intervention and referral, and research. Audience included physicians, nurses, social workers, physical, occupational, and speech therapists and others who treat stroke. November 2006 Provided Honorariums for Professional Speaker Program. Funded six speakers in Pennsylvania. October 2006 – Awarded $2400 in CHASA College Scholarships to two young adults with hemiplegia. July 2005 – Awarded $3000 in CHASA Scholarships. A total of $3,000 has been offered to eight college students, three technical school students, and one Paralympic athlete. Approximately 50 students applied for scholarships this year. Scholarship recipients live in VA, MN (2), IA, IN, SC, WI, WA, CO, MN, FL, and IL. Congratulations to these hard working young people. We wish these students a successful year! July 2005 – CHASA awards $2930 Retreat Scholarships to families attending the Georgia retreat. July 2005 – Annual CHASA family retreat held in St Simons Island, Georgia. 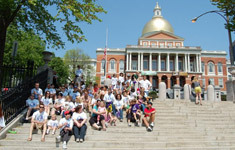 May 2005 – National Childhood Stroke Awareness, with proclamations in a number of states. 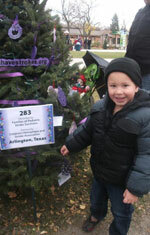 Mini-thons and fundraisers held across the nation. October 2004 – Assisted a student at the Florida State University School of Nursing with a childhood stroke awareness program for middle and high school students. Donated Kids Have Strokes ribbons, made by Dawn Perkins. July 2004 – Fifty-eight families of children who have hemiplegia met in Wisconsin for the 5th CHASA Retreat and Medical Conference. June 2004 – Fall 2004 Awarded $1500 in CHASA College Scholarships. Recipients are Derek A. of MO, Brandon A. of MD, and Bridget W. of CA. Congratulations to these hard working young people. We wish them a successful year! 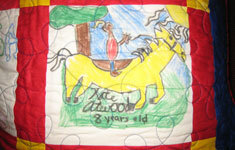 May 2, 2004 – North Texas Family Fun Day organized by Heidi Leedy and Nancy Atwood. 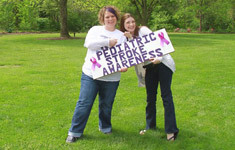 May 1, 2004 – National Childhood Stroke Awareness Day, with proclamations in a number of states. Family Fun Days held in several states. July 2003 – Fourth Annual retreat with forty families in Arlington, TX. May 3, 2003 – National Childhood Stroke Awareness Day, with proclamations in a number of states. December 2002 – Online eNewsletter launched, courtesy of Andrew Sherwin of Sentient Inc.
July 2002 – Two College Scholarships awarded to students who have hemiplegia. July 2002 – Third Annual retreat with 75 families in Hershey, PA. Scholarships awarded to 13 families in need. June 2002 – Florida Family Fun Day organized by Andrew Horowitz and family. May 4, 2002 – National Childhood Stroke Awareness Day proclaimed in 20 states. A grassroots effort created by our families and friends interested in raising awareness. Fall 2001 – Second issue of the “Helping Hands” newsletter mailed out. Spring 2001 – Launched “Helping Hands” newsletter to reach parents without internet access; Editor: Andrea Fuentes; Printing donated by Henry Serrano of VistaColor, Inc.
March 2000 – IRS granted tax-exemption status to the Hemi-Kids Foundation. The foundation is officially a 501 (c)(3) organization. February 2000 – A new record high for membership in the Hemi-Kids parent email list. 353 parents are finding support and information on the list. January 2000 – Hemi-Kids Foundation is currently waiting for tax-exemption status to be granted by the IRS. July 1999 – Local chapters of Hemi-Kids formed to provide “in person” support for families. May 1999 – Added question and answer forums to the Hemi-Kids website.